In a packed train compartment, the seats next to only one woman remained empty. As Dante Jamie Coyne, a 25-year-old engineer got on the train, he found the reason a bit hard to believe. 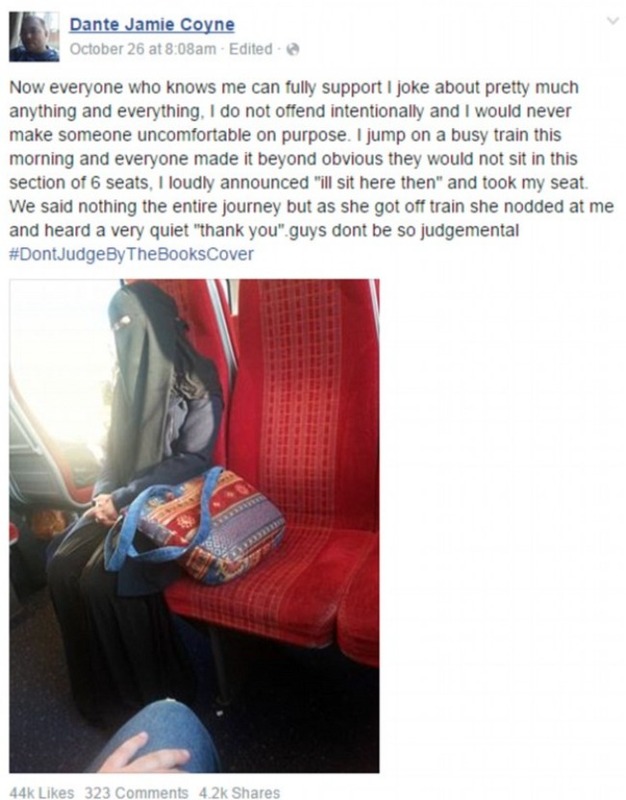 The woman sitting alone because she was in a niqab. 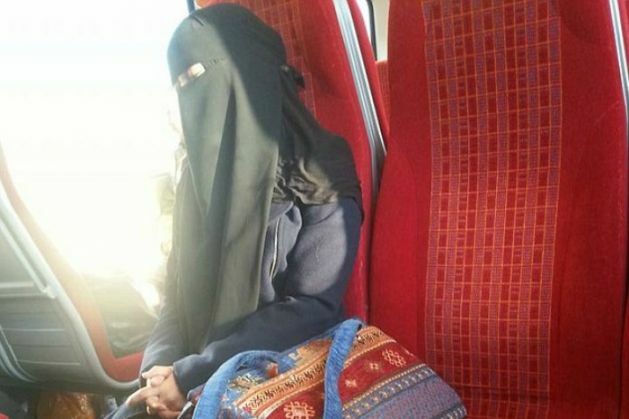 The commuters on the carriage had just pointedly refused to sit next to her. He did what any normal human being would have in this situation, and sat down next to her. But not without a loud announcement to everyone in the carriage about what he was doing. As the lady left at her stop, she thanked Dante in a low tone, acknowledging what he'd done. Dante shared a photo of the scene as he'd found it on Facebook, and if he was shocked at what he saw in the train, he was definitely not prepared for what followed thereafter. As his post went viral with over four thousand shares, Dante discovered that this wasn't a one-off incident of racism. Several women came forward with similar experiences while they were in a niqab. In an interview to Buzzfeed News, he said, "I am still in shock that what I deem normal has been praised so highly. Part of me is actually saddened by the many experiences people have shared with me as to why they are so grateful for my actions." While we applaud Dante's efforts, it comes with a bitter footnote that such things do happen and that they are not as few and far between as we'd like to believe.